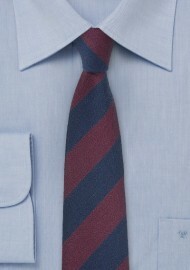 This wide striped tie in dark navy and burgundy is perfect for all your dark colored winter suits. It is a fantastic accessory for wool suits in navy, charcoal, and gray. It also looks excellent when paired with a herringbone tweed jacket as well as dress shirts featuring a button down collar. 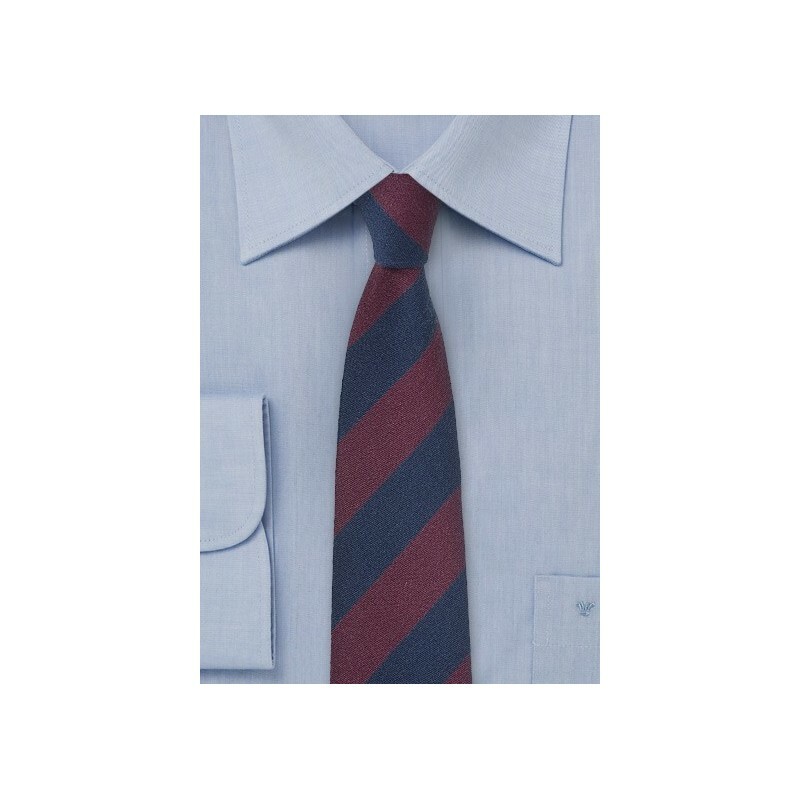 We believe that this slim cut necktie is a must have piece for the stylish man's winter wardrobe. 55% Wool, 45% Silk | Length: 58", Width: 2.75"